Once the client’s needs are understood Susan empowers them to take action and achieve optimal results. Susan lives by what she teaches, only asking her clients to do things she would do herself. As a working mother Susan understands how hectic life can be and how important the need for a workable nutrition plan is to the busy person. 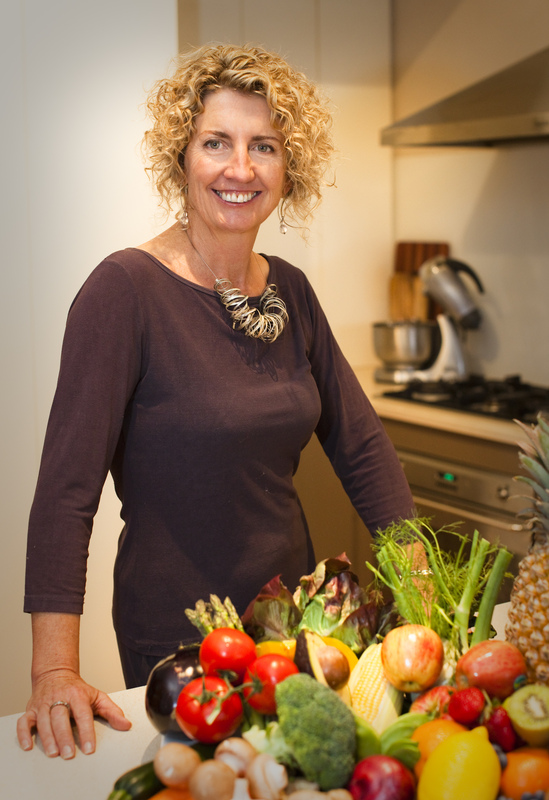 Presenting to organizations throughout Australia, Susan focuses on providing nutrition and lifestyle strategies to increase effectiveness in the workplace. Some of those who have commissioned Susan include Sydney Opera House, Accountancy practices, Law firms, banking groups and networking & business groups such as She Business. Susan has also presented seminars to community groups and organisations such as Australian Breastfeeding Association. Boosting brain health is a particular area of interest and Susan has been undertaking advanced training in the U.S. into brain function and reversing cognitive decline. Susan has been invited to present her brain nutrition research at a number of professional conferences globally. Susan was also a wellness editor for Dare Onine magazine and has contributed to numerous other magazines. I come from an extended farming family, that immigrated to Australia just over 125 years ago. I grew up in Queensland on the Darling Downs in a home with a vegetable patch in the backyard and surrounded by primary producers, including my relatives. My Dad would turn up with boxes of fresh stone fruit, apples, pears and grapes and fresh dairy products, straight from the producers. During school holidays we stayed on the farms. We ate porridge at dawn before helping to round up the cows, feed the poddy calves, and collect eggs. At home, every 6 months we would get a delivery of half of a bullock from my Uncle’s farm, that we would help cut up, bag and freeze. So being surrounded by real food and having a close connection to where it comes from is stamped on my very being. My first career was as an Interior Design Architect, designing corporate offices, large retail developments & hospitals worldwide. All very exciting when I was younger with fewer commitments but eventually, my work life balance was completely out of whack, working 12+ hours. Although successful, I realised I had to make some big changes if I didn’t want to end up with chronic fatigue and a collapsed marriage. I’ve always loved food and growing vegetables and herbs. With a working mother I cooked dinner every night during the week from the age of 13yrs. Consequently, cooking is second nature and I approach it instinctively, adding a handful of this and a splash of that. I was raised with the belief that you are what you eat and we need to be responsible for our own health. Let’s face it, no-one is as interested in you as yourself. When I was re-evaluating my life, I went back to what I loved which was food and nurturing and studied whilst working part-time over 7 years to move into the Health Industry and to teach about Nutrition. If you give your body the right ingredients, it will make all that you need to keep you a healthy weight, boost your immunity, help you manage stress and keep your mood buoyant. Balance and moderation is the key to optimal health and that includes work, play, activity, eating well, relaxing and sleep. However, I also believe in the 80/20 rule. If you eat and drink well 80% of the time, and keep yourself fit, you can happily indulge the other 20% guilt free. Quality, not quantity is the key. What do you try to achieve with your clients/patients? My aim with all clients is to focus on what they are asking for help with firstly and engage them in taking control of their health. My role is to educate and show clients how to achieve their goals, and improve their overall health long term. Working with my clients, we look at all aspects of their life that may be preventing them from achieving their health goals. Other health problems a client may have can be directly impacting on the issue they have come to see me about and it is important to resolve these health problems at the same time. I’m happy to work with clients on any aspect of their health as I truly believe it all comes back to their gut and what goes in and out of it. Certified Practitioner of ReCODE Protocol – MPI Cognition Training Dec 2016 & Reversing Cognitive Decline: Advanced Functional Medicine Training in Treating MCI and Early ALzheimer’s Disease – In collaboration with Dale Bredesen, MD , and MPI Cognition. – Institute for Functional Medicine. Dec 2017.